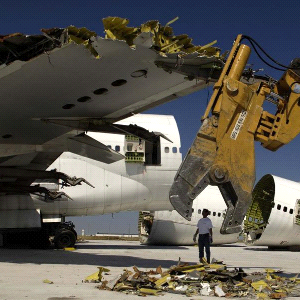 The Global Commercial Aircraft Disassembly, Dismantling & Recycling Market is estimated at around at US$ 100 Million in 2019 and is expected to grow to US$ 180 Million in 2027. The market for salvaged components is estimated at US$ 1.30 Billion in 2018 and is expected to surpass US$ 3 Billion by 2027. The climatic conditions affect the market due to which specific regions in US like Arizona have an organic advantage of low humidity environment which helps in reduced corrosion.